That paper that cited the Creator for designing the hand has been retracted. The authors say it was a translation error — that they assumed that “Creator” was synonymous with “nature” in English, and apparently, they weren’t aware of the potential for willful misinterpretation of the word “design” in the creationist community. I can sort of accept that, except, of course, that they managed to write an entire complex technical paper on the physiology and anatomy of the hand in fluent English. I wouldn’t have expected a retraction, though, but only a revision of an unfortunate mistake. Except now it has become a different story: Science Journal Publishes Creationist Paper, Science Community Flips Out. Wait, who’s flipping out? It wasn’t a creationist paper, but an ordinary technical paper that leapt to an inappropriate conclusion. I think it was entirely reasonable for scientists to be irritated by some sloppy editing that would be abused by creationist propagandists. But no — this is now the tale of deranged atheist scientists getting unwarrantedly upset about a casual mention of a god in a science paper. Even more amusingly, I am now the villain. @Bashir9ist @Neuro_Skeptic Poorly translated idioms happen. I blame @pzmyers who credulously assumed religion rather than translation. I blame @pzmyers who credulously assumed religion rather than translation. Say what? I did what? First, let’s dismiss the idea that I started it. I mentioned it, but so did lots of other people: Retraction Watch brought it up, it had multiple comments, and I think I picked up on it on Twitter. And here’s the thing: none of them are mentioning me. Really, the idea that I was the match that lit the fuse is not born out by the evidence at all, much as I’d like to take the credit as a vastly powerful influencer of the entire scientific community. That’s just silly. Second, you should actually read what I wrote. There’s nothing wrong with the data that I can see, but the authors do make a surprising leap in the abstract and conclusion. That’s what jumped out at me, that there was not a shred of analysis of design anywhere in the paper, yet the authors suddenly yanked these buzzwords out of their pocket at the end. It was a leap. The paper is a technical structure and function analysis of the bones and muscles of the human hand. There’s nothing in the paper that probes the creator for their intent and goals of proper design, or that assesses the the hypothesis of design vs. evolution — in fact, they seem to want to have it both ways, ascribing its functional adaptedness to both. That’s an entirely accurate assessment of that conclusion. Then, to make the association to creationism, I pointed out that others, like the Discovery Institute, would make hay over this mention, but I explained that nothing in the content of the paper was about gods or religion or would support claims of intelligent design creationism. But be prepared: this is the kind of thing creationists love to cite, and I expect it will make it to the Discovery Institute’s list of ID-friendly scientific publications. Just note that it says nothing to support the god hypothesis at all. And now my comments are representative of a bunch of anti-religious bigots in the scientific community . This is totally nuts. 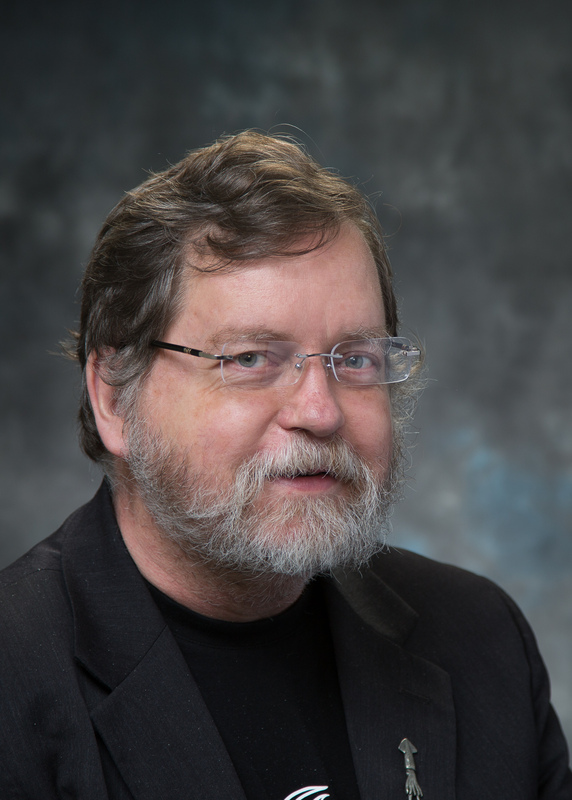 First the outspoken atheist PZ Myers, without apparently doing any investigation, blogged about it credulously asserting it was creationism in a scientific journal. Then twitter exploded about it and PLOSONE retracted the paper. This is the catastrophic failure of post-pub peer review. Retractions matter, and can destroy careers. These scientists don’t deserve one. Their paper is valid. They have a poor translation of an idiom, which made a bunch of anti-religious bigots in the scientific community flip out and start howling, and mob PLOSONE, who retracted the paper reflexively with no investigation of their own. Disgrace all around. No investigation? I read the paper. The whole paper. It’s outside my field, so it took a little more effort than usual. It says what it says. I quoted entire paragraphs from it, and I gave the authors credit for writing a reasonable paper with just a few phrases that marred it. As for “credulously” calling it out as creationism, my main concern was that a poorly worded and unjustifiable conclusion was going to be abused by American creationists to suit their agenda. What’s really annoying, too, is that in this new rush to blame anti-religious bigots , this guy is overlooking the fact that, when it was pointed out to them, the authors were quick to disassociate themselves from any religious sentiment: “Our study has no relationship with creationism”. They seem to be just as appalled at that interpretation as we anti-religious bigots . That’s a reasonable request. That’s why I read the paper first before saying that I would have just requested a minor edit, if I’d been reviewing it. I think someone out there ought to apologize for their anti-atheist bigotry. The bottom line is that we were actually right to point out a poorly edited and misleading conclusion in a science paper. What are we supposed to do, shut up if we spot an unsupported inference in a paper, but only if it props up religious delusions? Yeah, you always get to be the villain. I want a turn too. Do you have a mustache that you can twirl? I think it’s a requirement. Damn patriarchy. I can see misunderstanding “Creator” if they learned English by reading articles from the 18th/19th century. I can get one. And I have a whip. And a choice of Fedoras. You may recall that I said I thought this was likely a translation error in a comment on your original post. I don’t speak Chinese but I’ve done a lot of translating from Spanish to English and believe me, this kind of thing is very common. There are whole web sites devoted to weird translation errors. And no, I’m pretty sure they didn’t write the whole thing in fluent English, they had it translated, and this was a glitch. It is unfortunate that these authors have had to suffer such opprobrium from this silly and trivial blunder and I do think PZ should have exercised a bit more caution, frankly. Why does there always have to even be a villain? I get so tired of the “good/bad, right/wrong, for us/agin’ us” dichotomies, something I think Christianity is mostly responsible for (or maybe it’s European–Asians seem a little more easy-going with it). The whole practice of science is a prime example of anti-religious bigotry by some. Science ignores their imaginary deities. Sorry to see you be called an “anti-religious bigot” PZ. That is totally unfair. Being anti-religion does not make you a bigot. Your accusers do not seem sophisticated enough to distinguish ideas from people. I can get [a mustache that you can twirl]. And I have a whip. And a choice of Fedoras. Also, as I recall, a sharp stiletto. Poopyhead already has the cat and, so rumor has it, the undervolanco lair protected by kraken, so, let’s see, what are we missing? Hum… seem to be missing lots of projection. Yes. I do not, however, have a lair protected by something tentacled and sharp toothed. Just the rats…oh. Now it’s “Creatorgate”. Can we impose a mandatory one minute face slapping to anyone who adds “gate” to a word from now on, unless it’s referring to an actual gate? Can we impose a mandatory one minute face slapping to anyone who adds “gate” to a word from now on, unless it’s referring to an actual gate? Not as much fun when you’re not being the authoritarian twisting someone else’s words around so you can call them a bigot (or other such adjective of choice) is it? Well, there was that time I owned a fence building company. A competitor tried to destroy us by leaving bad reviews on Yelp claiming that the entryways in our fences were defective. We responded by hacking into Yelp and installing a filter such that the competitors thought their bad reviews were still up but no one else could see them thanks to an IP barrier. Unfortunately, the hack was traced back to us and we were destroyed in the resulting scandal, known as Gaterategategate. Jake Harban – I wondered where that was leading. Nicely done. Are you a graduate of the University of Florida? Because then it would be Gatorgaterategategate. I remember reading about that, Jake Harban. IIRC your company was based in a marshy area, yes? And you specialized in maintaining boundaries between reptilian wildlife and your human customers, yes? I must go now to practice typing 200 WPM. Ok, so how did we get from frothingfruitcakesgate to multiplegatesgateagategate…gategategate? Frothy fruit cake sounds tasty actually. help I can’t get out! This is probably a subset of the ancient rule: Always Double-Check the Headline. I’m betting that the Abstract and Conclusion were written last, and received less careful checking of the translation than the (intrinsically much more important) body of the paper. I feel very sorry for the scientists involved. I think the company was not just in a marsh, but in a marsh on Alderaan, which, of course, disappeared in the famous VaderGatorGaterategategate. I can sort of accept that, except, of course, that they managed to write an entire complex technical paper on the physiology and anatomy of the hand in fluent English. Fluent English? Did you read it? Broken English is more like it, including a number of spelling errors. This paper was in serious need of editing but didn’t get it. Criticizing requires thinking and there is no more blasphemous activity than thinking. I can get [a moustache]. And I have a whip. And a choice of Fedoras. Next time one of my nefarious schemes is foiled (influence of meddling kids or otherwise), I’ll just ask PZ if I can twirl his moustache. Seems easier to outsource that sort of thing than to spend effort on obtaining my own facial hair; I’m sure he and I can come to some mutually acceptable financial arrangement. Mental note, buy PZ mustache wax for his birthday. And cape and a funny hat. Very good question. In the online community we certainly see a fair amount of people being unduly made into villains. Here is an article addressing the psychology of scapegoating. The ego defence of displacement plays a role in scapegoating, in which uncomfortable feelings such as anger and guilt are displaced and projected onto another, often more vulnerable, person or group. The scapegoated person is then persecuted, providing the person doing the scapegoating not only with a conduit for his uncomfortable feelings, but also with pleasurable feelings of piety and self-righteous indignation. The creation of a villain necessarily implies that of a hero, even if both are purely fictional. The article goes on to say that the practice of scapegoating is ancient. The term ‘scapegoat’ has its origin in the Old Testament, more specifically, in Chapter 16 of the Book of Leviticus, according to which God instructed Moses and Aaron to sacrifice two goats every year. The first goat was to be killed and its blood sprinkled upon the Ark of the Covenant. The High Priest was then to lay his hands upon the head of the second goat and confess the sins of the people. Unlike the first goat, this lucky second goat was not to be killed, but to be released into the wilderness together with its burden of sin, which is why it came to be known as a, or the, scapegoat. The altar that stands in the sanctuary of every church is a symbolic remnant and reminder of this sacrificial practice, with the ultimate object of sacrifice being, of course, Jesus himself. Upon seeing Jesus for the first time, John the Baptist is said to have exclaimed, ‘Behold the Lamb of God, which taketh away the sin of the world!’ (John 1:29). And in Christian imagery, Jesus is often depicted as the victorious Lamb of God of the Book of Revelation, with one leg hooked around a banner with a red cross—whence the name of one of Oxford’s most celebrated public houses, The Lamb & Flag (pictured). The sacrifice prescribed in the Book of Leviticus prefigures that of Jesus, who played the role of the first goat in his human crucifixion, and the role of the second goat, the scapegoat, in his divine resurrection. Stop it PZ, you’re making those poor poor xtians feel persecuted all over again. Won’t you think of the gullible fools? I don’t see why the paper ought to be retracted. Have the language corrected to remove the gratuitous uses of “Creator” and “design”, yes. But it is an overreaction to retract it. That was my reaction, too. Just revise it, it’s fine. Oh, wait, I forgot…I’m the anti-religious bigot. THROW THE AUTHORS INTO A PIT! BURN THE PAPER! it is an overreaction to retract it. One of the editors at PLOS actually said the reason is that this is part of the process of re-editing the paper for re-review. they do not have a final proof review process, so they paper has to go all the way back to the primary editors for review and rewording, then the changes have to be reviewed by the author. go read the comments at the last link PZ put in the OP. the ONLY thing that is of any interest here at all, is just how thorough the editing process is at PLOS to begin with. It sure sounds like things were missed. Ignorance of the possibility of “poorly translated idioms” for a paper presented to an English language science forum (an exercise which is supposed to pin down any editing issues in the first place) is not an excuse. The reactive complaints over being called out are rather telling. There is no danger that any legitimate careers have been compromised in this case. It’s a shame. A small error that can easily be ironed out in digital publication, if the authors did make an honest mistake – life would have carried on. This is an example of a mountain having been made out of a molehill.
. I can sort of accept that, except, of course, that they managed to write an entire complex technical paper on the physiology and anatomy of the hand in fluent English. And that’s exactly the stage where you run into that kind of trouble: You’re pretty competent, but then there’s some levels of meaning you’re unaware of and because you usually get by very well you don’t check. Never underestimate the subtleties of language learning, especially when the language in question is English. Also, Americans are especially fucked up when it comes to religion. Other people use religious metaphors much more freely because nobody would dream of taking them serious. It’s a common communication problem when doing German to AE translation/interpreting. Also, some editors exist solely so as to make sure that the reader understands what the author is trying to say and that any grammar mistakes, typos, particularly unsuitable metaphors, etc get in the way of that. Those editors will clean up a lot of mistakes – and make you look more fluent than you are (I know from the 2 small and insignificant things I ever published in French, a couple decades ago). However, if you’re literally translated a metaphor or a joke and it makes sense in the literal translation, these editors will not necessarily engage with it or draw your attention to all the connotations or implications of your metaphor or joke… even though, in many a situation, metaphors translated literally lose their fruit juice. But this is a matter of buttocks grasped and not the Methodist you employ. Also, Americans are especially fucked up when it comes to religion. Other people use religious metaphors much more freely because nobody would dream of taking them serious. Even so, “designed by nature” is a really, really bad metaphor for evolution. PLOS journals are not copyedited. Most scientific journals aren’t. Now, should a fake moustache be called a moupé or a mouchkin?